Welcome Back!! I decided to take a little break from the blog this past month to enjoy the last bits of summer before the kids start Kindergarden (gasp!!) and Preschool! We had a great month and I can't remember a summer where we have had such amazing weather!! 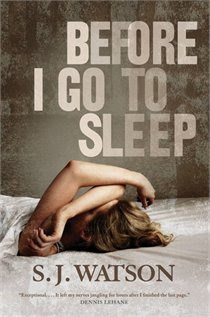 I was able to read a ton of books this month and today, I've decided to review the most recent book that I finished...."Before I Go to Sleep" by S.J Watson. Holy cow, it was good and I may or may not have put on a movie for the kids to watch so I could read more;) It's mystery that will having you hanging off every page. The main character, Christine, wakes up every morning unable to remember anything from her past or present...she doesn't even know where she is. Every single day, her husband, Ben, has to re-tell the tale of who he is and how she lost her memory. Her doctor encourages her to start a journal to help her recall her memory...but the first entry "Do NOT trust Ben" leaves her confused and determined to find out why this was written. This is a true page turner and you won't be able to put it down. So, tell me, what did you read this month?? 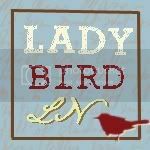 Did you do a craft inspired by a book that your read? Kadie from Seven Alive and I want to know. Be sure to link up your review or craft to the party below. 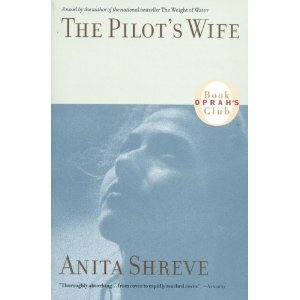 Next month, I'm reading "The Pilot's Wife" by Anita Shreve. I read Before I go To Sleep last month too! It was soooo good! Now I am telling everyone to read it. Totally didn't see the ending coming!